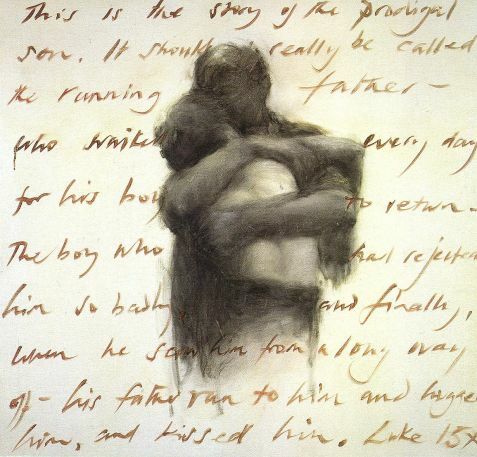 You will love the prints and postcards we now sell, depicting Jesus’ story of the Prodigal Son (Luke 15) – a story about us coming home to God our Father. The artist is Charlie Mackesy, famous for drawing the illustrations for the Alpha course material. 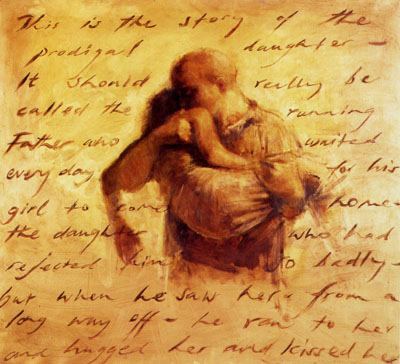 The unframed prints are approx 60cm high x 42cm wide with the actual painting (above, approx 37cm x 37cm) set on a white background which bears the inscription ‘The Prodigal Son/Daughter’. Beneath that, the name of the artist (Charlie Mackesy) appears. Beneath that, it says ‘Oil on canvas’. You can buy them individually for £10.99, five at £10.49 each or ten at £9.99 each. The postcards are approx 15cm x 15cm. You can buy these for 79p each (minimum order of three), ten for 75p each or twenty for 70p each.